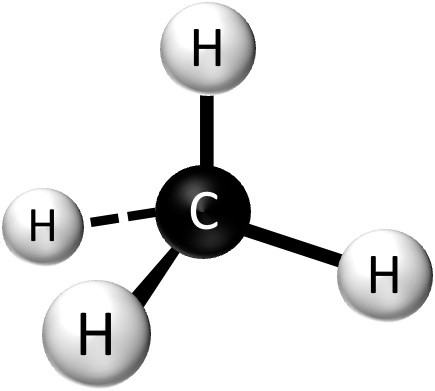 An often repeated claim is that transitioning from coal to natural gas reduces air pollution... but what pollutants? and by how much? how is the potential reduction calculated? Then, for each fuel source, there are different combustion technologies, and different pollution controls applied to the exhaust. What types of pollutants are released in the combustion process? How much does the combustion process affect level of pollution output? Before pollution controls are applied, how much of each type of pollution is released per unit of energy output, on average? I found this interesting research paper that answers some of your questions, at least for US power plants. For people who don't like to read research papers, there's an easier-to-read summary in this Science Daily article. The research paper discusses carbon dioxide (CO2), nitrogen oxides (NOx) and sulfur dioxide (SO2) emissions from both coal and natural gas power plants by comparing data from continuous emission monitoring systems (CEMS). The researchers found that natural gas plants that use the "combined cycle" technology release far less CO2, NOx and SO2 than coal plants. 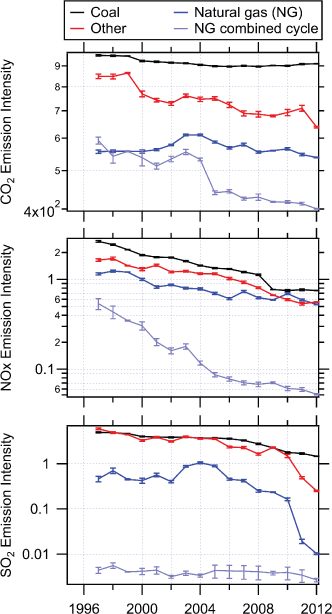 Also the paper provides a few graphs so you can get a rough estimate of the amounts of NOx and SO2. Average emission intensities (in units of g/kWh) of CO2, NOx, and SO2 from U.S. power plants between 1995 and 2012. Error bars give the 1-σ uncertainty in the averages. Other pollution types such as heavy metals, particulate matter, VOCs and methane leaks were not included in the study. Emissions from fuel extraction and transport were also not included. system-wide leakage is unlikely to be large enough to negate climate benefits of coal-to-NG substitution (source). Surprisingly the same article also mentions that natural gas used as a fuel in cars is most likely not cleaner than diesel. Not the answer you're looking for? Browse other questions tagged electricity-generation pollution natural-gas or ask your own question.